Well, OK, a few words. 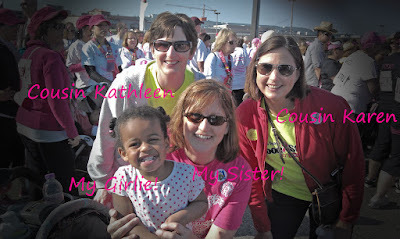 This was last Sunday when my cousins joined my sister in a Race for the Cure on Mother's Day. Look at that smile on my little sweetie! !